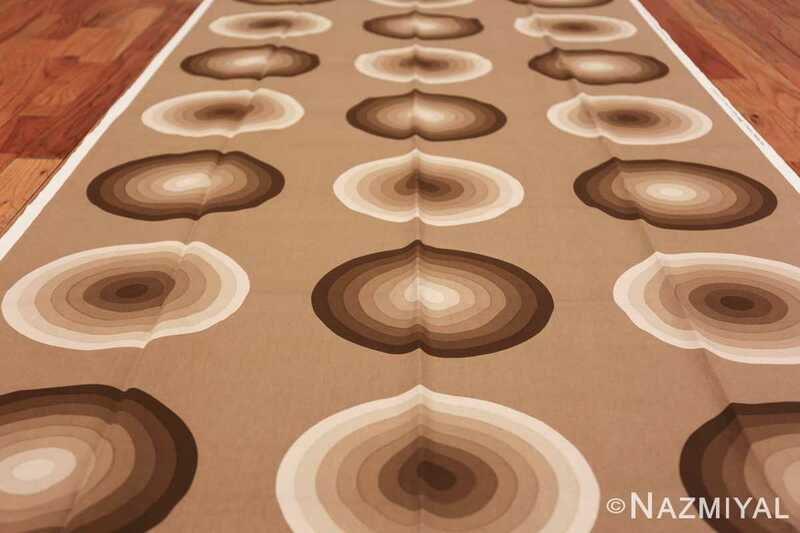 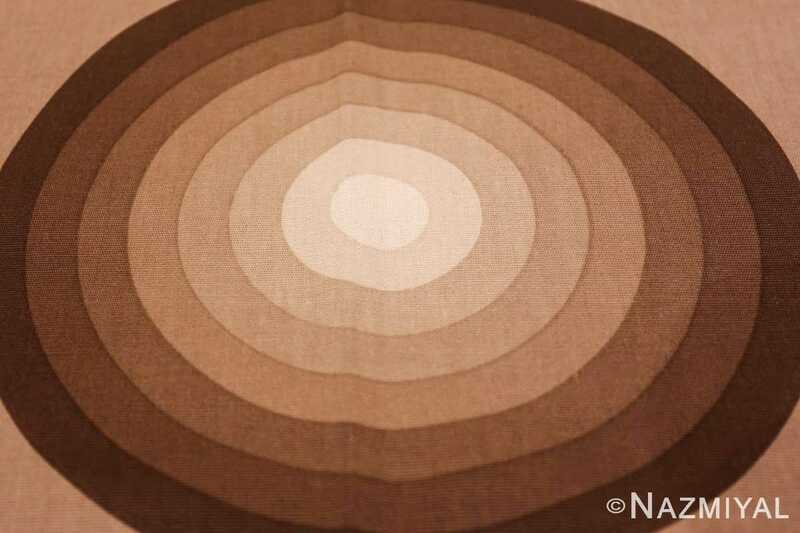 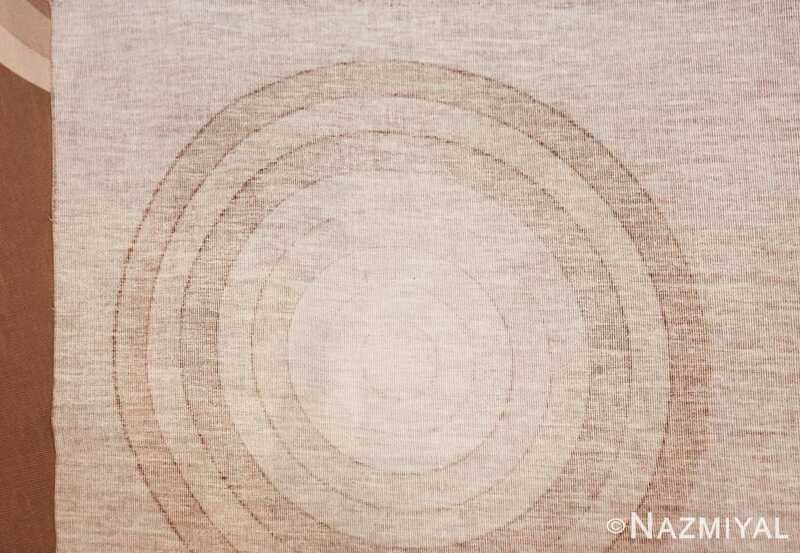 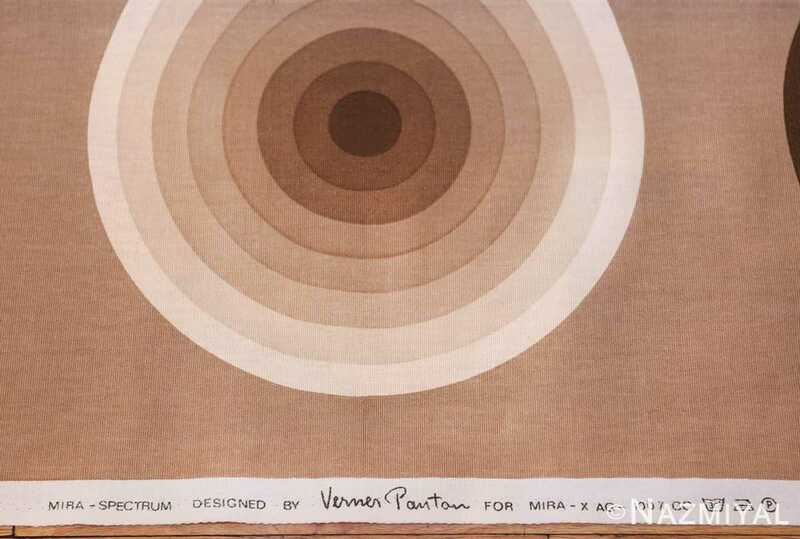 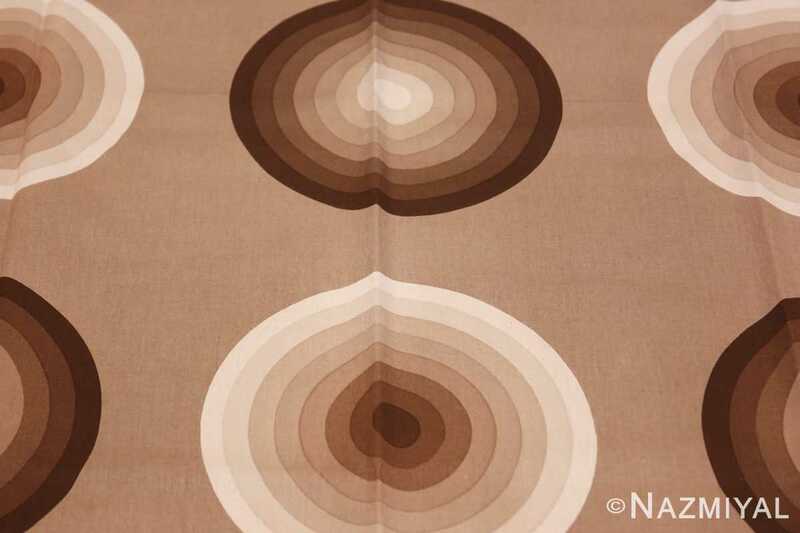 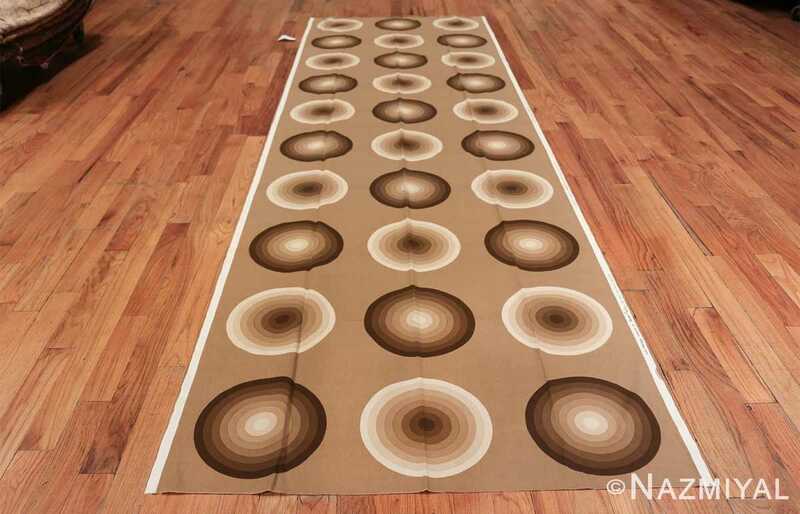 Vintage Tan or Brown Colored Verner Panton Kreis Textile, Country of Origin: Denmark, Circa Date: Mid 20th Century — Master of form and color, Verner Panton‘s artistic rendering of concentric shapes displayed on this textile invite one to journey visually along three dimensional pathways. Displaying the standard shape of a circle but with various gradients of shaded circles within circles, Panton achieves depth. Staring at a circle of cream descending into brown or at a circle of brown ascending into cream, one can contemplate endless thoughts from meditation to flights of fantasy. 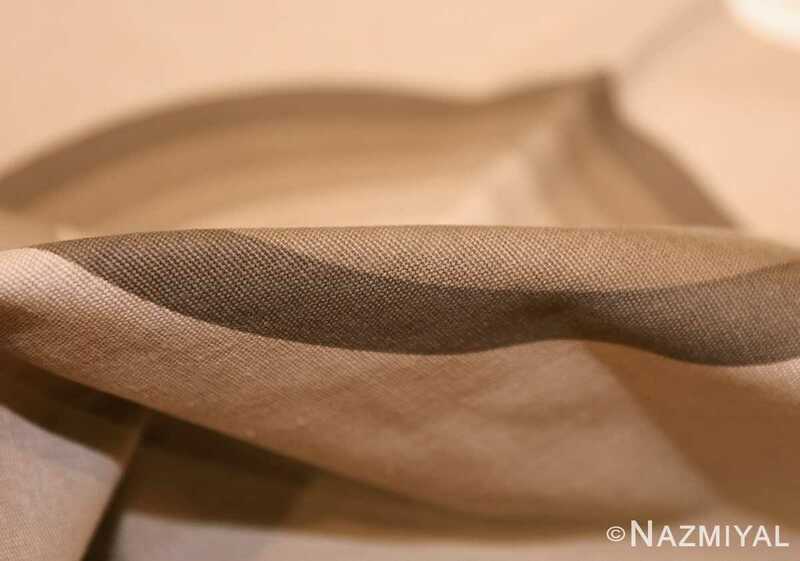 This textile possesses color variations that lend well to neutral spaces, and inspires introspection.